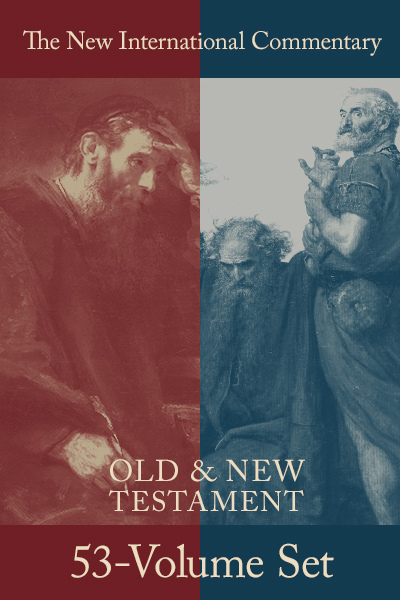 Old Testament Series Editor: Robert L. Hubbard Jr. Maneuvering through Levitical laws, bloodshed in Joshua, or Daniel's apocalyptic visions, sincere readers often wonder what the Old Testament means and how it can be the Word of God. For several decades The New International Commentary on the Old Testament has helped countless people traverse this difficult literary terrain. All the NICOT volumes combine superior scholarship, an evangelical view of Scripture as the Word of God, and concern for the life of faith today. Each volume features an extensive introduction treating the biblical book's authorship, date, purpose, structure, and theology. The author's own translation of the original Hebrew and verse-by-verse commentary follow. The commentary itself carefully balances coverage of technical matters with exposition of the biblical text's theology and implications. "Faithful criticism" characterizes volumes in The New International Commentary on the New Testament (NICNT), and is widely recognized by pastors, students, and scholars alike for its attention to the text of Scripture, its currency with contemporary scholarship, and its service to the global church. The interpretive work reflected in these commentaries is based on careful study of the Greek text, but commentary readers need not be practiced in the biblical languages to benefit from them. In the same way, NICNT volumes reflect serious work in technical areas — such as linguistics, textual criticism, and historical concerns — but the commentary itself focuses on understanding the text rather than navigating scholarly debates. Readers can turn to the footnotes and excursuses for more specialized interaction with the Greek text and engagement with critical issues and literature.